Groove and Static take a journey through Biggie's celebrated catalog 20 years after his passing, from his legendary Madison Square Garden freestyle all the way up to new releases by Faith Evans and Kazakhstani beatsmith iRon J. Plus breezy poetics from Noname, hazy B-side disco from Lord Echo, Seven Davis Jr.'s dancefloor manifesto "Soul Music", and another impeccable cut off Oddisee's "Iceberg" LP. Lord Jazz unloads a full clip with underground bangers and exclusives from Mr Cheeks, Treach, Krazy Drayz and the LOTUG fam. 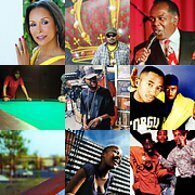 Plus another Staten Island staple from Raekwon, transcendent soul from queen Aretha, and smooth modern funk from MadD3E and G-noF. Zattar delivers a superb mix of disco and soul, including cuts from the vault by Mystic Pleasure and Joe Cruz, gritty instrumentals by El Michels Affair and Leroy & The Drivers, and classy modern grooves by E. Live and Solar Shield. Plus sultry soul from Erykah Badu and Ravyn Lenae, rambunctious posse cut "All Barz", and a tribute to the original funky drummer Clyde Stubblefield with live gems, interview insights and classic JB heat like "Say It Loud" and "Mother Popcorn". DJ Soares reps the streets of Brazil with straight ahead hip-hop from Zudizilla, reggae fire from Rael and Sombra, and future beats from Cesrv and Lay. Plus soulful sweetness from Honey Sauce Band and Omar, a sample salute to David Axelrod by way of De La Soul, and Neighbour & GSD's monster rework of "The Walk" by The Time. Mdeck goes sample-chasing with big beats by Blackrock and Sofia Rotaru, then dives into a straight set of dusty digs from Brothers of Soul, Nico Gomez, Okko Bekker and more. Plus pure unvarnished soul on Lady Wray's "In Love", echoes of Marlena Shaw on Sacha Vee's sensual "Ging", and new Tribe Called Quest featuring the inimitable Andre 3000. 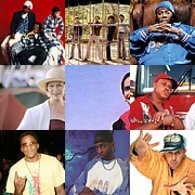 Chris Read crafts the ultimate compendium of samples behind 1989 hip-hop, with countless originals from The Meters to Charlie Parker to Desmond Dekker all artfully blended to mixtape perfection. Plus standout old-school cuts by Stetsasonic and T La Rock, sanctified funk by Spirit of Love, flawless Outkast reworks by Sam Gellaitry and Ian Ewing, and sweet simmering grooves from Terry Reid, Childish Gambino and NxWorries. DJ A-L goes hard with a grip of blazing breakbeat remixes, then smooths it out with vintage golden era joints retouched with a jazz vibe. Plus a heartfelt salute to Sharon Jones and her reign over the funk & soul revival, from early Desco cuts to lush ballads and her trademark frenetic funk with the mighty Dap-Kings. Vancity O.G. Vinyl Ritchie throws down a wild 45 mix of golden era classics, fiery funk flips, bass-heavy instrumentals, and jetset vibes from Turkey to Colombia to Bollywood. Plus The Olympians take a psych-soul odyssey, Letta Mbulu soars sky high on "Kilimanjaro", Funky DL delivers sandpaper-rough boombap, and Tona spits fire on the Slakah-produced "Red Eye". Dollar bill y'all! 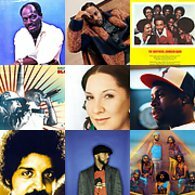 Our annual funding drive special features righteously soulful joints by Levert & Troop, The Mighty Sceptres and Wings of Sunshine, criminally underrated gems by U.N. and D. Franklin, big boogie bass from Plush and Second Image, and smoldering remixes of Kendrick Lamar, Marvin Gaye and Michael Jackson. DJ Whut drops a fiery mix of old school electro and freestyle from Planet Patrol to Debbie Deb, then serves up a full spectrum of Danish hip-hop bangers from 90s classics to brand new releases. Plus Danny Brown's hard-hitting new cut "Really Doe", modern funk confections from Diamond Ortiz and Le'trell, long-lost boogie from Twinn Konnexion, and new hip-hop with a soul flair by Agallah and DJ Iron. 'Tis the Season: DJ Marc Hype serves up soulful Christmas nuggets by Sharon Jones, Shawn Lee, J-P-C Gang, Bootsy, The Hackney Colliery Band and more. Plus Canadian flavour from the Humble Giants and Éternel Cosmique, slinky West Coast grooves from Brian Ellis, a joyous Jamaican take on "Soul Makossa" by Jablonski, and a reinvigorated Tribe Called Quest on "Melatonin". Ruby Jane brings the sweetness with soulful tracks by Chet Faker, Jamila Woods and Bluey Robinson and a selection of her favourite lovers rock tunes. Plus Kon's Moog-heavy revamp of "Give Me The Night", a gem from the Jakarta back catalog by The Smile Rays, and a 90s banger from Toronto's Da Grassroots. Andy Williams goes deep and eclectic with a slick slab of UK disco by Ultrafunk, obscure Singaporean psych-rock by The Travellers, a beat-heavy Gene Dudley rework, and abstract UK hip-hop by Paper Tiger and Lotek Hi-Fi. Plus prime cuts off the latest DITC and De La albums, stark street poetry from Ka, the Chakachas' sweet slow burner "Soledad", and a dream team collabo with Little Brother and Black Star. WEFUNK dives into heavy rock breaks from legends like Hendrix and Funkadelic to worldwide selections from AKA, S.B.B. and Manuel De Sica. 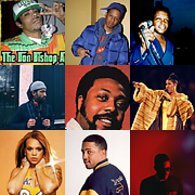 J. Cole draws on the lush soul of Sly, Slick & Wicked on his reflective "Chaining Day", Camp Lo joins Oran Juice Jones on "Poppin' that Fly", American Gypsy takes a sonic journey on "Inside Out", and A Tribe Called Red unveils a futuristic stomper with Yasiin Bey and Narcy. Walla P gets behind the groove with modern and 80s funk by Pomrad, Hitomi Tohyama and Dâm-Funk, then eases into headnoddic hip-hop courtesy of DJ Krush, Mic Geronimo and Rob Swift. 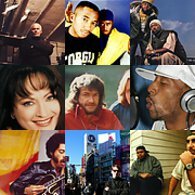 Plus a tribute to fallen Beastie Boy legend MCA, a fresh funk direction for Kylie Auldist, a rough and rugged Killah Priest collabo with Bryan Ford, and Alicia Myers' joyful anthem "I Want To Thank You". Alkalino straps a rocket on Mtume's "Ready For Your Love", Duck Down delivers "Rap Professor" to salute Sean Price, and Blowfly croons as nasty as ever on his final LP. 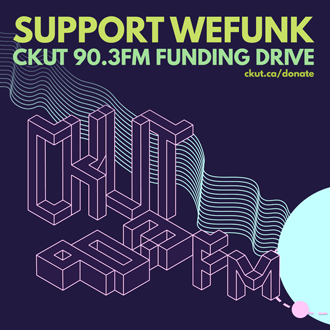 Plus the Joneses' smooth soul stepper "Sugar Pie Guy", an exquisite "Can I Kick It" rework by King Most, and coast-to-coast Canadian flavours from Moka Only to Monk.E. The Cheeba Cheeba Kid samples the seismic soul of drum legend Bernard Purdie, from Afro-Cuban grooves with Mongo Santamaria to Cal Tjader's electrifying "Mamblues" to some of his most iconic breaks including "Rock Steady" and "Synthetic Substitution". Lady Wray's ready to "Do It Again" with a retro-soul sureshot, funk classics get flipped by Zhigge, Jungle Brother and Sylk Smoov, and indie luminaries collide on "B-Boy Bonanza". DJ Amir puts needle to the groove with sounds of the diaspora, from Latin heat by Celia Cruz to Brazilian rhythms by Wilson Simonal to West African grooves from Ebo Taylor and Effi Duke. Meth and Red spit fire on Loaded Lux's "Rite", Jamila Woods and Noname stay woke on "VRY BLK", Mndsgn funks philosophical on "Use Ya Mnd", and Nico Gomez summons forces of nature on the volcanic "Ritual". Pro-V keeps it strictly basement vibes with Jazzy Jeff's bass heavy thumper "Branded", De La Soul's freewheeling "Mack Daddy on the Left", a wild jazz ride with DJ Krush and a hardknock banger by Akinyele. Plus Asheru's righteously soulful "Do U", a silky G-funk instrumental by SaiR, and indelible soul from the Three Degrees and Odyssey. Dusty Fingers founder Danny Dan delves deep into hip-hop's DNA with foundational and forgotten breaks, plus drops science on New York's early digging and DJ culture in a bonus interview. L.O.T.U.G. still bangs on the Redman-assisted "Like a Drug", Zion I calls for "Unity" against police violence, and Lady Wray bares her heart on "Guilty". Philly digger Soulman delivers a lost episode from his infamous World of Beats series with rare covers of "School Boy Crush" and "Think", an upbeat groover by John Heartsman, Indian synth breaks by Kalyanji Anandji and an irresistible slice of moody soul by Frank Schöbel. Plus part two of our tribute to Bernie Worrell, with a focus on his Parliament years, and conscious hip-hop by Spek Won, Nas and Heresy. 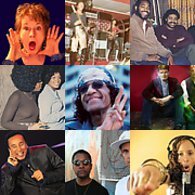 DJ Soulsonic hits the bullseye with bold soul from The Vibrations and Marlena Shaw, rough blues grooves from The Johnny Otis Show and smoldering funk from The Pointer Sisters, Bill Withers and Charles Wright. Plus tributes to the heavy-hitting Muhammad Ali by The Best Ever and Verne Harrell, ingenious sample weaving on Jurassic 5's "Swing Set", and a microphone teardown on Mos Def's "Quiet Dog Bite Hard". Rawsoul pulls out forgotten old school jams where reggae meets hip-hop and R&B, connecting the dots from Super Cat and Shabba Ranks to Grand Daddy I.U., Isley Brothers, Surface and more. Plus soulful 80s funk from Thelma Houston and Loose Ends, Birdbone Unlimited's B-side banger "Don't Stop", deep jazz journeys via Bennie Maupin and Tomsits Jazz Group, a mighty Jigmastas single, and a brilliant Brazilian flip by beat wunderkind Kaytranada. Scott C raids the crates for an eclectic ride through steelpan disco by John Gibbs, soul-fueled broken beat by Dego & Kaidi, lush modern soul by Omar, and raw boombap by Lewis Parker and KRS-One. Plus a scorching funk ember from Deep Street Soul, hard-hitting street poetry by Last Poet Umar Bin Hassan, and a rare Buddha Stretch remix of Beenie Man's "Memories". WEFUNK sets the stage for our upcoming Prince tribute with a couple of teasers from his extensive discography, plus a selection of tracks built on Prince samples, from Biz Markie and Public Enemy to Kanye West and D'Angelo. Tanika Charles craves cash on the catchy "Money", Diamond Ortiz gets funky and flirtatious on a quest for "Next Level Lovin'", and Ivan Ave flows flawless on the Mndsgn-produced "Circles". DJ Praiz and DJ Coner smash through a stash of breaks, from original recipe bangers by Henry Mancini and the J.B.'s to a savage ODB flip to bboy/bgirl favorites by DJ Fleg and Funky Bijou. Plus a tribute to unsung funk heavyhitter Leon Haywood, futuristic old school rap by Teenburger, and afrofunk-infused heatrocks from Blitz the Ambassador, Tensei and Native Sun. 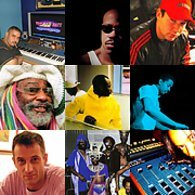 Ilya flows between house and its myriad roots and branches with cuts by Moodymann, Pépé Bradock, Only Freak, Herbie Hancock, Kenlou and Sir Piers. 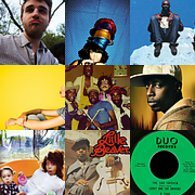 Plus another hardbody banger off the new Joell Ortiz LP, a blazing vocal cut from Dilla's long-lost album "The Diary", and electro-funk heat from Tryezz and Egyptian Lover. Sweet Daddy Luv strolls through the nether realms of hip-hop with avant-garde and lo-fi joints by the Shape Shifters, Daddy Kev, Divine Styler, and Rammellzee. Plus bass-rattling future soul by Greg Blackman and Percy Filth, Fredy V's exquisite boogie confection "Ain't Going Nowhere", and Motown sounds for the new millennium by BJ the Chicago Kid. DJ Fleg fans the latin funk flames with lots of heavy breaks and percussion, plus a special dedication to the go go, hip-hop and funk of his hometown Washington, DC. Hezekiah turns "I Love Kanye" into a remix showpiece, GrandBuda meditates over a mesmerizing Kaytranada chop, and Verckys et l'Orchestre Vévé marinate raw funk with Congolese spices. 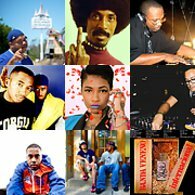 DJ Hudge slides between butter-smooth rare groove and true school hip-hop, dropping cuts from the Sylvers, Roy Ayers, Torae, and New Zealand’s own Manuel Bundy and Average Rap Band. Rae and Ghost stomp through Adrian Younge's 70s-inspired "Blackout", Dead Prez celebrates black pride on the Quakers' "Soul Power", and Maurice White gets love for early jams with Ramsey Lewis, The Salty Peppers and Melvin Van Peebles. The One Tash is back for a fresh session of late-night soulful beats from Anik Khan, Lianne La Havas, Bonjay, Mocky, Tanika Charles and more. Plus a sample of the spiritually grounded grooves of late great Earth, Wind & Fire founder Maurice White, and a tribute to Dilla's beat wizardry on the 10th anniversary of his passing. Land of the rising Funk: Walla P shines a spotlight on Japanese boogie, jazz-funk and modern soul from Toshiki Kadomatsu, Cosmos, Tatsuro Yamashita, Yasuko Agawa and more. K-Maxx and Buscrates carry the torch for modern funk, Blaq x Saga resurrect the raw on "Time Travelers", Sa-Roc rocks steady over a jazzy Flying Lotus number, and vintage Kanye resurfaces on the Madlib and Kendrick-assisted "No More Parties in L.A."